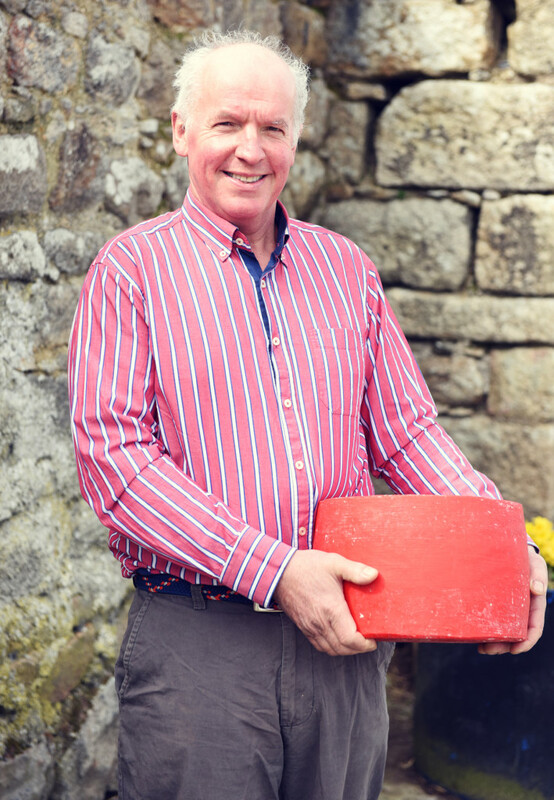 Tom Burgess has been producing top quality milk from his pasture fed cows in West Wicklow for twenty years. 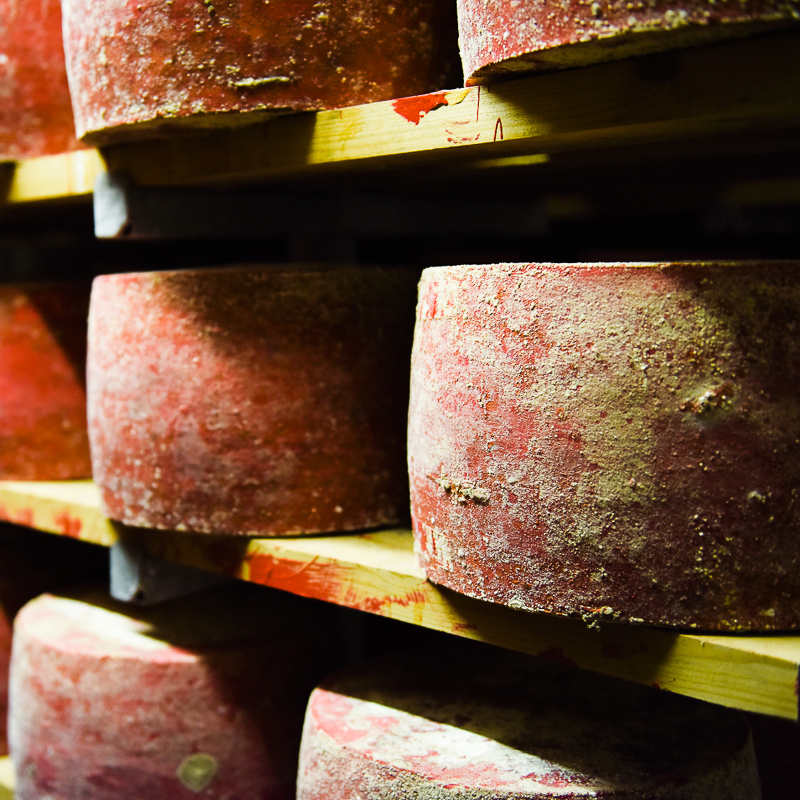 He wanted to develop a product which reflected this quality and decided it would be Mature Raw Milk Cheddar.. “Pasture to Cheddar the same day”. During this time the unique combination of enzymes& proteins interact to create a gourmet experience of aroma, texture & full flavour which develops slowly from sweet fruit to a full butty note. 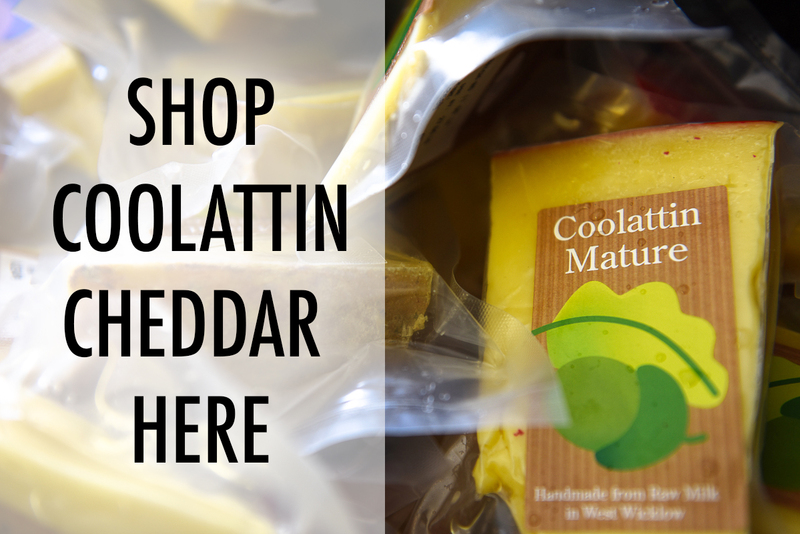 To get the best from Coolattin Cheddar, store cool and taste at room temperature.